Let’s not start out on the wrong foot here. Some of the movies featured on the list below are movies I like. And yet, like the unbiased movie scientist I am, I still can’t look past the absurdities of the plots. So, before reading on, please put aside your weird affection for Lindsay Lohan circa the late 90’s/early 2000’s, and look at these movies through the eyes of logic. 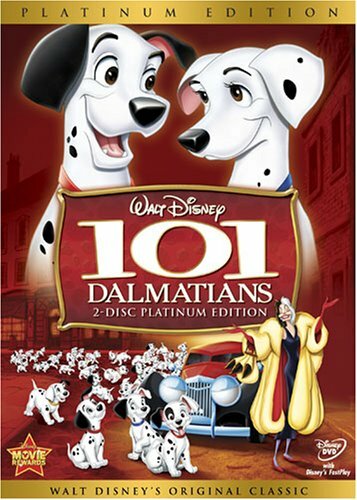 If you hang out with me, it will only be a matter of time before I bring the matter of “101 Dalmatians” up. Just the thought of this movie gives me anxiety.What is there to be anxious about, you might be asking yourself, while simultaneously concerned about the level of anxiety I feel about a children’s movie. The problem is right in the title; 101 DOGS. There are 101 dogs in this movie, all living in a basement, waiting to be killed for fashion. Let that sink in for you. A kid’s movie about the murder of puppies. I watched this at the tender age of 6 and thought “wait, so like, this woman who is never not smoking a long cigarette, is going to kill all those puppies?” and then developed a deep fear of Cruella De Ville. Even at the end of the movie when (spoiler alert) the dogs are saved, they all then end up at one small London apartment with the two other dogs that already lived there. That’s 103 dogs. That’s just an irresponsible amount of dogs for one couple to have. Roger and Anita, you need to rethink your life, you’re spending 90% of your paycheck on dog food. Come on. This movie, without a doubt in my mind, is the best Christmas movie to ever exist. I’m all for Kevin McAllister. I like his pom pom hat, the way he demeans the grocery store cashier by being smarter, and I oddly often think about how delicious that mac and cheese he’s about to eat on Christmas Eve but never does, due to the small inconvenience of his house being robbed. PS: Mac and cheese AND milk? Dang, Kev, good luck with that diary explosion later. Despite the love I have for this movie, I also have many questions. The first being “who the hell runs the Chicago Police Department in this movie?” Remember when Kevin’s mom calls the police to go check on him and they go over to the house and knock on the door? After about three knocks, when Kevin is too scared to answer the door, the police shrug their shoulders. “Guess he’s not there?” they say, then they leave. They just leave. Umm...what? Try harder? Maybe like, I don’t know, look in a window at least? Aside from this shoddy police work, never once do the parents get in trouble for essentially leaving their kid alone for four days while they’re on vacation. If this happened in 2018, the McAllisters would be on every single news station. They’d be blasted by self righteous moms on Facebook. There’d be a go-fund-me for Kevin’s therapy sessions---because not only was he ditched by his entire family, but he also had to fend for his life against two criminals trying to kill him and steal all his stuff. I used to love this movie. I wanted to be Hallie Parker, with her cool “I don’t care, I live on a vineyard” attitude. However, now that I’m older, I watch this movie a bit differently. Ok, so I’m on board for the twins meeting at camp. Whatever, doesn’t seem likely, but I’ll buy it. 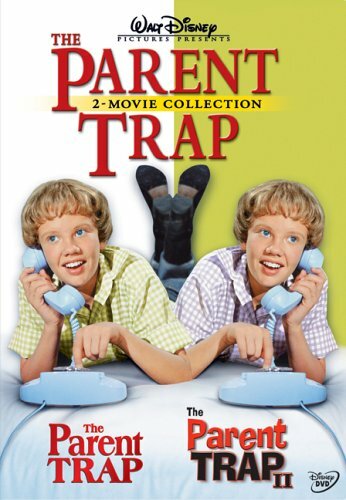 But the idea that while divorcing, both the twins’ parents were in agreement to just go halfies on their kids? “You take…I don’t know, this one? Lol, they’re twins...so does it even matter? ?” And then, after splitting them up and moving to different continents, those parents were content never ever mentioning the other child ever again. NOT ONLY THAT but the nanny and butler heard this plan and went “sounds reasonable.” The grandfather was like “can’t see why that would be a problem.” EVERYONE GAVE A GREEN LIGHT TO THIS PLAN. What? How? So, the next time you go to enjoy these movies, hopefully a little voice chimes in and says “wait, wtf, this is actually emotionally disturbing!”. Because nothing says relaxation like going over the psychological nature of some of the most heartfelt movies of your childhood.